After a successful rookie campaign in the Queenston OSCAAR Modified division, Jason Keen will be returning for another season – except there will be a change to his racing program. With the new wheels underneath him, Keen is hoping to take the car to feature victory lane, while placing in the top-five throughout the year as much as possible. Keen has been successful across the calendar, but notes that Sunset Speedway is his favourite track on the 2019 schedule. 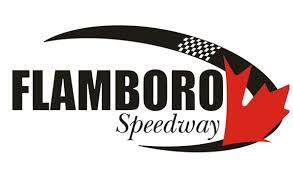 Though notably, it was Sauble Speedway where he scored his season-best finish, with a third. The success experienced last year for Keen, with a heat victory and nine feature top-10’s wasn’t by accident. Across the final four races of the season, Keen was able to string together three straight top-five finishes. He feels the set-up notes that they were able to make through the season, combined with learning how the suspension works for the Modifieds, will help them be successful this year. It won’t be easy to place well, as the Modified class continues to grow with more talented drivers throwing their hats in the ring. For Keen, he got his start in racing through the Kitchener Waterloo Karting Club at the age of 12. He then worked his way up, eventually landing his feet in the Canadian Vintage Modifieds where he won a total of seven championships.